Zulu News TV: Money can buy you beauty - Check Nicki Minaj before and after surgery. 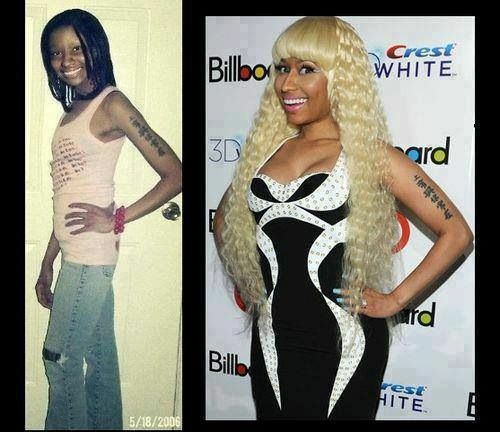 Money can buy you beauty - Check Nicki Minaj before and after surgery. 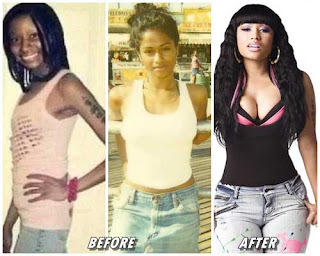 Nicki Minaj whose real name is Onika Tanya Maraj was born in Saint James, Trinidad and Tobago on December 8, 1982. Her parents Robert Maraj, a financial executive and part-time gospel singer, and Carol Maraj, are Trinidadians of African heritage, with Robert additionally of Asian Indian heritage. Nicki Minaj first made her music debut in 2007. In today's world she is a global music superstar who's known for chart topping, infectious pop hits such as Anaconda, The Night Is Still Young, All Eyes On Me, Super Bass, High School etc. Nicki is not just another global music icon. She has million of infatuated male fans at her disposal.